Recognize people and organizations who made an effort to help or make a significant contribution to your mission or cause with this creative vintage certificate of appreciation. 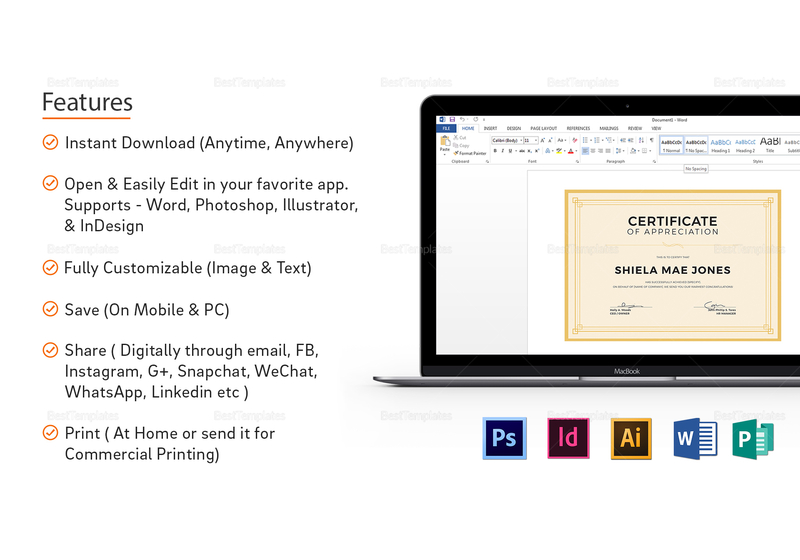 Download the template at a low cost and with just short edting, you can print certificates that your recipients would be thankful for. This template is fully customizable in Photoshop, InDesign, Adobe Illustrator, MS Word, and Publisher.